It's amazing to think that the school year has flown by so quickly it seems like only yesterday that I was typing my first blog post and now we are into the last week of the school year.I would like to take this opportunity to thank all of the students, parents and teachers at ISS for making ISS such a special place. In international schools, where turn around of between 25% to 35% of both staff and student are the norm, it is therefore always with mixed emotions at this time of year that we celebrate a wonderful year as we say good bye to friends and colleagues who are moving on to new countries and new adventures. I would like to wish all the best to all of the families leaving us in June and wish all the students and families well in their next school. I would particularly like to draw attention to one member of staff who is leaving ISS after 17 years of service Hazel Halliday. Hazel has been an integral part of the ISS community and I am sure she will enjoy her retirement back in Scotland next year. Thank you Hazel for all you have given the school over the years. NB. For those of you leaving ISS this year it is important that you download your child's report as you will not have access to ManageBac in the new school year. Thursday: Farewell Celebration 8:15- 9:15 in the playground. Have a great final week of the 2015/16 Academic Year and a wonderful summer. We had a very busy week this week at ISS this week, one of the highlights was the Talent Show. Entirely organised by our Student Council it was great to see both the confidence and talent of our students showed, with an eclectic mix of talents presented over two days. It was a real testament to the joy of learning, confidence and student leadership that an ISS education instills. ​Students who have brought in books to swap will receive tickets for 3 different types of books; chapter books, picture books (including non-fiction) and books in languages other than English. On Tuesday 31st May, if students have a ticket for a chapter book, they can go to the MPR to swap it for a chapter book, if they have a picture book ticket, they can swap it for a picture book, and so on. 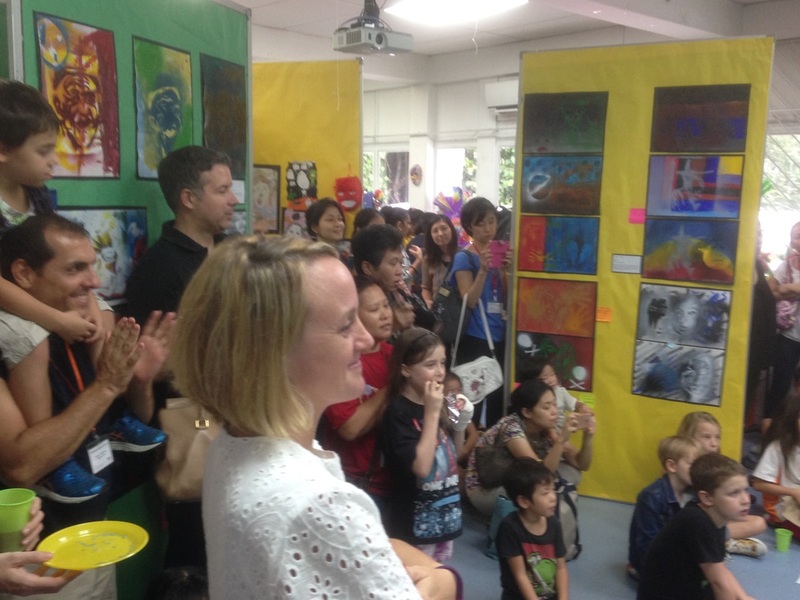 Our ES-MS Art Exhibition 'Rainbow Connection', will be held on 3 June, Friday, 5.00-7.30pm, @ ES-MS Hall. Artworks by K1-G8 will be on display to showcase students' artistic talents as well as their learning journey through the Visual Art curriculum. At the end of the Gala, parents are to pick up their children at ​the Sports Lifestyle Centre at ​1:00pm. If you are unable to pick up your child there will be a bus back to school and students will be supervised in the MPR by Mr Pinchbeck until 2:20pm when they can return home by their normal route. NB There is no lunch provided for students returning to school. If you wish your child to return to school you must inform us prior to Friday 3rd June by filling in the form found here: bit.ly/swimbus . Drinking water will be provided. Thursday 9th of June will be our final day of school this academic year. From 8:15 - 9:15 we will have a farewell celebration in the Playground. Parents are welcome to attend and there will be some musical performances by students and (so I am told by my own children) something " that is a secret and we're not allowed to tell Mr Pinchbeck about!" Please remember that school ends at 12:00 noon on Thursday 9th. We are approaching the time of year when teachers will sit down and create a draft class list for the 2016-17 academic year. In order for us to do this successfully and create balanced classes it is important that we have as clear a picture as possible of who is intending to return to ISS in August. Whilst I fully understand that things may happen that cause intentions to change, if you have not done so already, please let myself and your child's class teacher know your current intentions in regards to your children returning to ISS in August. Please note that since class lists are drafts and may change over the break as new students arrive and people change their intentions, we do not publish class lists until the start of the new academic year. Over the next couple of weeks, please help your child to check your bookshelves for gently used books that they do not want to read anymore, and be ready to bring them to school between Monday 23rd and Friday 27th May. Students will receive tickets for 3 different types of books; chapter books, picture books (including non-fiction) and books in languages other than English. The children will come to school at the regular time and by normal transportation means. They will be bused to the swimming complex on a rotational basis. If you wish your child to return to school you must inform us in advance. In next week's blog there will be details of how to inform the school if you are unable to pick your child up after swimming gala. Smita Puyamaya: Will be joining us as a K2 teacher. Many of you already know Smita as she has been a substitute teacher at ISS. This year she has covered both Ms Hazel and Ms Raj's absences in K2 so is already very familiar with the workings of the school. Minaal Amin: Will be joining us in Grade 3. Minaal has been working in the English system. She has a strong background in mindfulness development and recently was selected for the English- based Outstanding Teaching Programme. Michael Reid: Will be joining us in Grade 4. Michael has been working in the English system. In addition to teaching, he is a football coach and has a strong background in drama. Michelle Jasinska: Will be joining us in Grade 5, has worked in Canada and most recently In the UK. In addition to teaching, she has a strong outdoor education background and set up a marine education and conservation centre in Belize along with her husband who is a coral reef expert. Rong Lichun: Will join us in the Elementary School as a Mandarin teacher. She is currently working with Eton House here in Singapore and has many years of experience in the PYP. Tina Wolter: Will be joining us in Grade 5. Tina an Elementary, ESL and Special Needs teacher. She has over 25 years of experience working in a variety of schools in the USA. Estelle Elsaadi: Will be joining our ESL team. Estelle is currently working as a Language Support Teacher at the High School. Lillian Lyovarin: Lillian will be returning to Bangkok to spend time with her family. Hazel Halliday: Hazel arrived in Singapore in 1999, 17 years ago, and started at ISS as a supply teacher in January 2000. She has been teaching K2 at ISS since 2001.Hazel will be returning to Aberdeen, Scotland and is looking forward to spending more time with her three children, their spouses and the rest of her family. 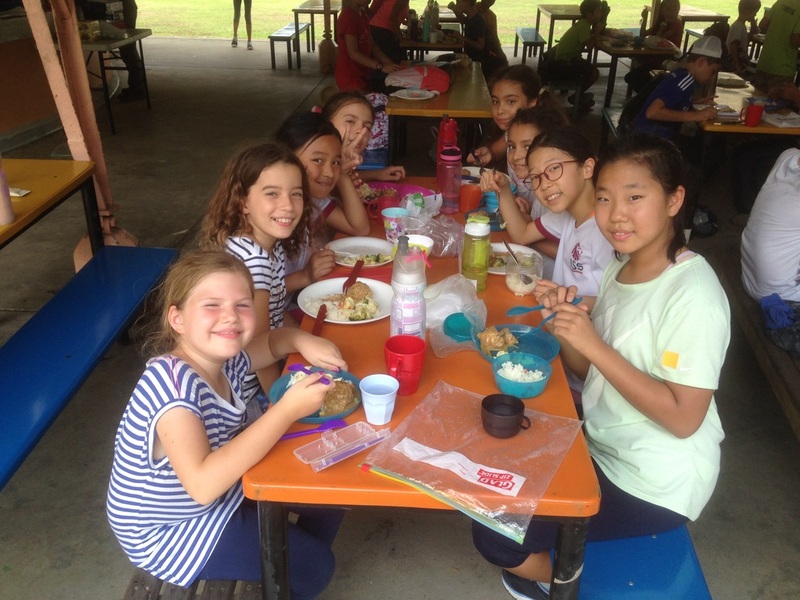 Sonya Nicholls: Sonya is staying in Singapore and moving to The German European School. Shanez Cabraal: Shanez will be staying in Singapore working and spending time with her family. Amy Koo: Amy will be heading to Hong Kong to work at the Canadian International School as a Grade Three teacher. Sophie Crawshaw: Sophie is leaving to have her third child and will still be involved with the ISS community as a parent. 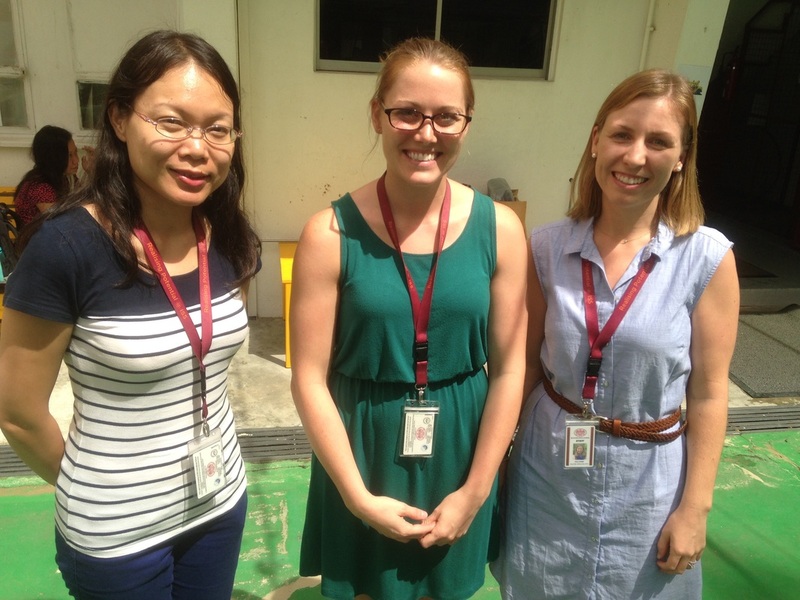 Bei Liang: Bei will remain in Singapore as the Mandarin teacher at Invictus Private School. Delores Duly: Dell will be going back to Canada to look after her elderly father. Whilst there she will also work through any organization that provides language training for the recently arrived Syrian refugees. Hugh Maclean: Hugh will be returning to Canada to spend time with his wife and daughter and work within the local school system. Thank you to all of you for what you have given the ISS community. 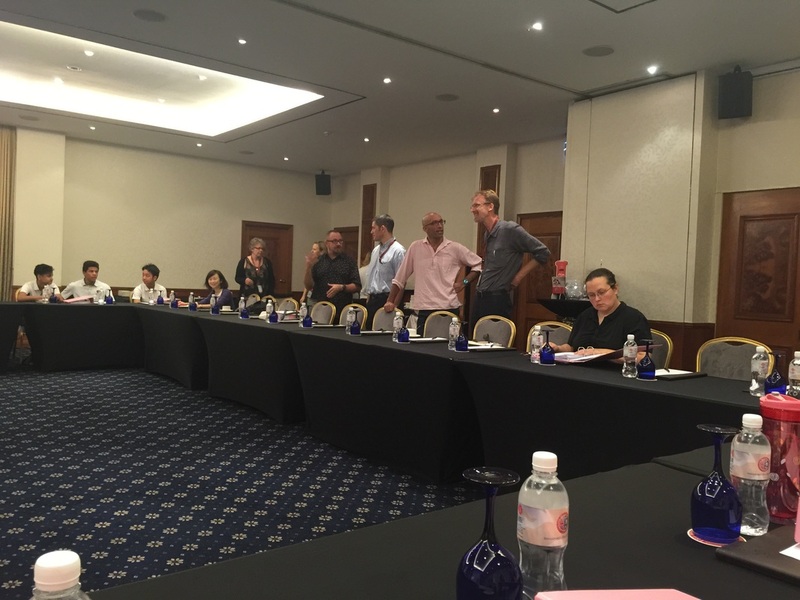 It was a great pleasure on Thursday to take part in the School's Strategic Planning. Members of the teaching staff, administration, parents and students meet to discuss the strategic future of ISS over the next 3 years. It is a testament to the unique community atmosphere of our school that members of all these groups could discuss openly the challenges and opportunities that the school faces and to plot its strategic direction over the next 3 years. The work on the strategic planing is ongoing and I look forward to sharing it when it is complete. plans over the coming months and years. On the subject of school improvement, as I mentioned last week the ISA results provided us with firm evidence of the quality of the education at ISS. The ISA's provides us with a wealth of data to help us improve as a school. As a very brief overview I would like to share with you the headline average scores for ISS and all of the 199 International Schools who sat the tests. As you will note ISS's mean is above that of all schools in all areas. I have been made aware of an opportunity for Girls interested in playing football to take part in a free event organised by the Singaporean FA. Please download the flier to the left if you are interested in taking your daughter along. Dr Margaret Alvarez, our Head of School, will be speaking. Grade 3, 4 and 5's had the wonderful experience this week of going on camp. Not only did this provide them with a fun way to bond with their friends but for many of them it helped them confront the challenges of being put into unfamiliar situations and realising that you can do things you previously had not thought possible. This growth mindset is something we try to instil into all of our students by creating the warm and supportive learning environment we have at ISS. The success of the school's learning culture was clearly indicated by this year's ISA results. These test were taken in February and students in Grade 3, 4 and 5 will be receiving their ISA reports via email after school on Tuesday (see letter below). The school receives detailed data from ISA in regards to these results to help us to continually improve our performance. For the Elementary School, it was very pleasing to see that ISS had an average score at or above that of All, Like (in terms of ESL population) and Regional Schools in every area assessed (Mathematical Literacy, Reading, Narrative Writing and Expositional Writing). Of special mention is the fact that ISS scored significantly above the mean score of All, Like and Regional Schools for Reading in Grade 3, 4 and 5. This is a reflection of the hard work and commitment that teachers put in to ensure that ISS is the home of high quality learning. Don't forget that this Monday is a Public Holiday and the School will be closed. It was wonderful to see all of you here on Tuesday for the Student Led Conferences. In both my roles as a Principal and a parent it was a great day seeing the confidence with which ISS students can share their learning journey. We really welcome your feedback to ensure that we can continually improve the experience. If you could spend 5 minutes completing the attached feedback survey it would be greatly appreciated http://goo.gl/forms/m3ULDI4wwl. This meeting is open to all parents. This focus group aims to explore the findings from the Parent Survey that was recently completed so that we can fully understand parent perceptions and use this information to further strengthen our services. We will also share some of the facilities upgrades and programme developments that will be introduced in August 2016. This is a great opportunity to be a part of ISS' decision making processes! If you would like to attend, please contact sallychoy@iss.edu.sg to book a place. Grade 3,4 and 5 are going to have a busy week at camp this week. Don't forget Monday is a public holiday so the school will be closed. Middle School Principal Tim Walsh and Elementary School Principal Derek Pinchbeck will be discussing Homework at ISS. Parents interested in this subject may be interested in reading this wide ranging report on the effectiveness of and issues surrounding homework produced by the Victoria State Government from Australia. On Tuesday 19th April, the school will be having one of the highlights of the school year the Student Led Conferences. This is your child's opportunity to share with you what they have been learning this year. 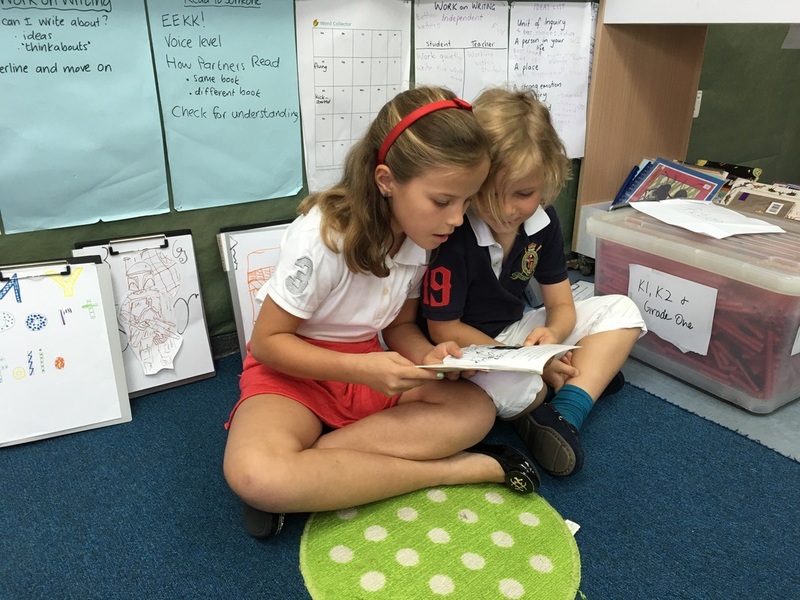 At the Student Led Conference your child will share with you their learning journey at ISS. 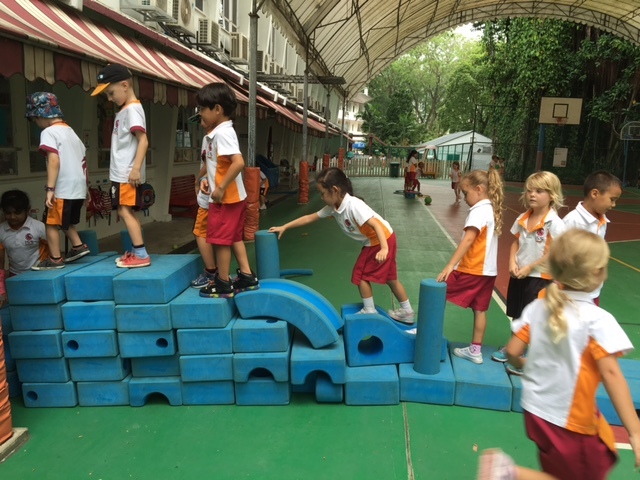 It is always a highlight of the school year in any PYP school. While teachers will be present in and around classrooms, the purpose of this event is for students to discuss their own learning with their parents or guardians. If you would like to speak to your child's teacher individually, please schedule a separate time to meet. As there are only 4 slots during each hour block please sign up early to ensure you can come at the time you would most want. After visiting your child's classroom, your child should take you around the school to show you what they have been learning in Mandarin, ESL, Art, Music and PE. Please note that all students are excepted to attend the Student Led Conference and there is no other school on Tuesday 19th April. At the same time as the Student Led Conferences there will be a Book Fair in the Library (see poster below). Please enjoy the fair with your child before or after the Student Led Conference. Starting on Monday 18th April, all students in the Elementary ​School will begin swimming lessons as part of the Physical Education​ Curriculum. ​This year the swimming program and Swim Gala will again take place at the Sports Lifestyle Centre in Bukit Merah (3500A Bukit Merah Central, Singapore 159837). Students will travel by bus to and from the venue. ​Mr Nathan & Mr Roy will oversee the swimming program in collaboration with Sports Lifestyle's qualified swim coaches.​ The swimming schedule is below and as you will see, the students will spend a double PE period each week to travel to the venue and complete their swim lesson. - Plastic bag for wet items. Please note that the swim program is an integral part of the ISS educational program and is not optional for students. We invite parents of ​students in K1 & K2 ​classes to accompany us to the pool to assist with changing the students after the lessons. If you have a child in K1 or K2 and are interested in volunteering to assist please email me at nhorne@iss.edu.sg. At the end of the Swimming Period we will have our annual Swim Gala on the morning of ​Monday June 6th ​and all parents will be invited to attend. ​Further details of this will be sent closer to the date. 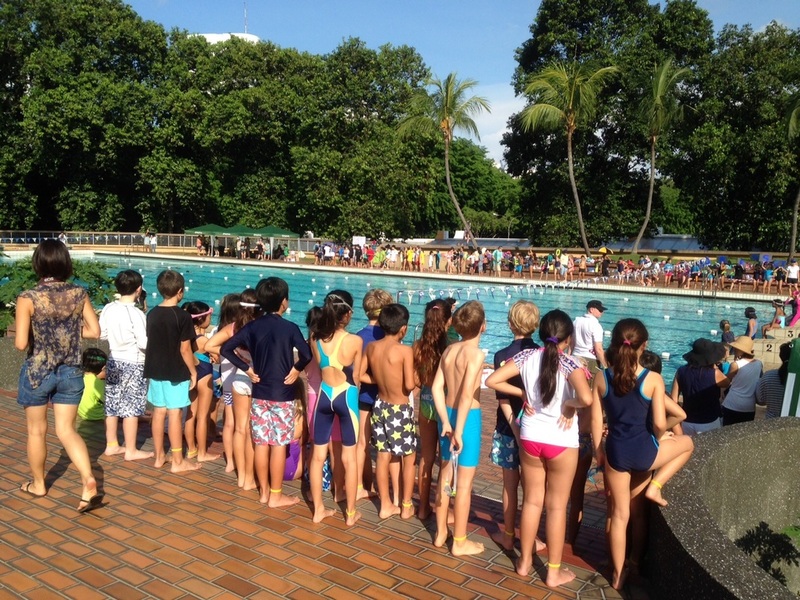 ​If you have any questions about the swimming portion of the physical education curriculum please feel free to email nhorne@iss.edu.sg​. Tuesday 19th April: Student Led Conferences: NB students attend school wth their parents only for the period on the student led conference. Welcome back everyone after what I trust was a enjoyable and relaxing break. 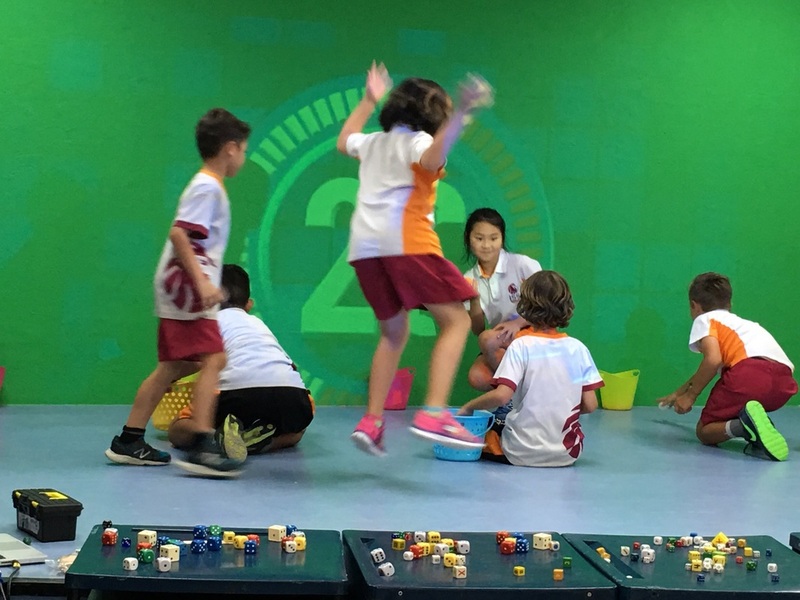 It has certainly been a busy first week back culminating in the 'Minute to Win it' house event which as you can see from the picture above led to great excitement. On Tuesday 19th April, the school will be having one of the highlights of the school year the Student Led Conferences. The Grade 3, 4 and 5 camps will soon be upon us. I am Derek Pinchbeck the Elementary School Principal at ISS. I will update this blog each Friday during the academic year. 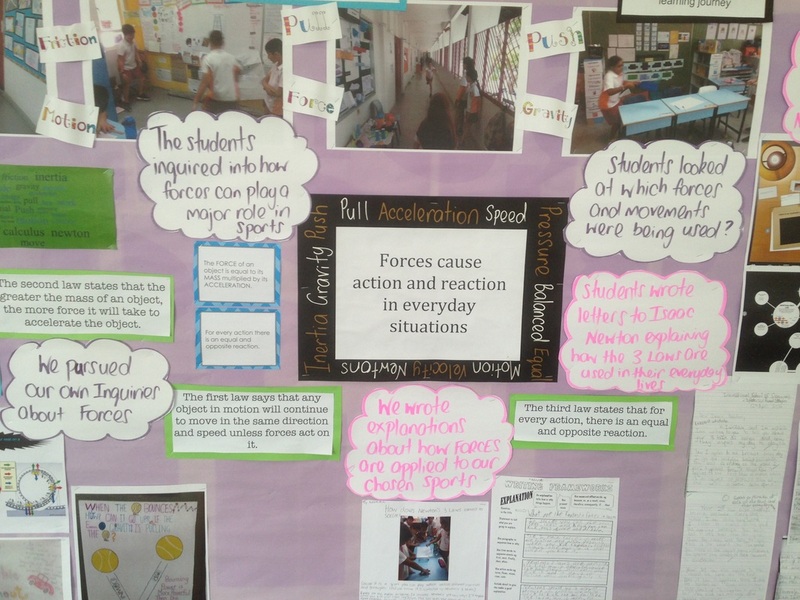 This blog will let the ISS community know about the great learning that has been happening this week and about up and coming events. I hope you find it useful in giving you a picture of how ISS is "Educating to make a difference"
Links to other great ISS Elementary School Blogs can be found by clicking here.